Make 2X GTA$ and RP in all 15 RC Bandito Races, Target Assault Races, and Dispatch Missions this week. 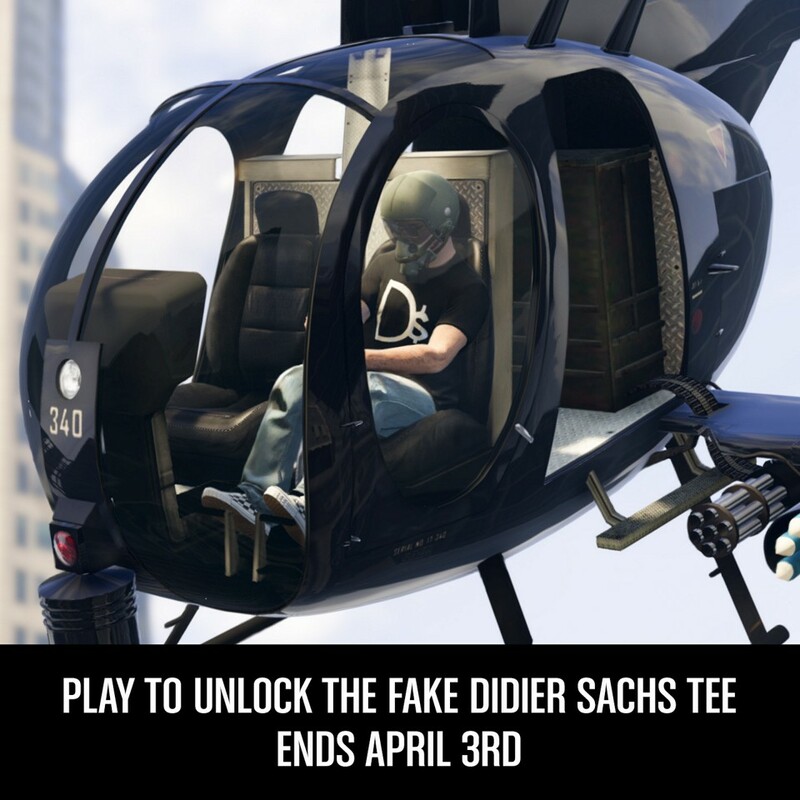 Play anytime this week to unlock the Fake Dider Sachs T-Shirt. Vertical Jump (for RC Bandito & Arena Vehicles) — 40% Off.